HOUSTON � Andrew Azzopardi and Mike Wilson hit and Brett Kinle and Richard Suniga pitched the Houston Apollos to their sixth straight Pecos Spring League win Friday, taking advantage of two Vaquero errors to top Las Cruces 5-4 in what Apollo manager Andrew Dunn said was probably the best game of the season. 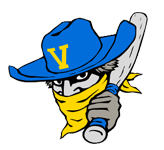 Vaqueros manager Casey Dill might agree to a degree, because for yet another game, errors by his squad gave the opposition the victory. 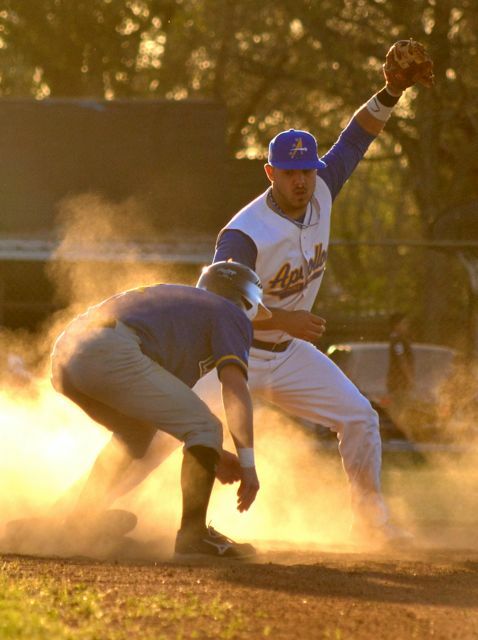 While Edison Alvarez kept the Apollos (6-0) off the scoreboard early, Kinle gave up a single to Adam Ziegler to open the second, then, two strikeouts later, Austin Carden sent a shot out of the park, making it 2-0 Vaqueros. Houston closed it to 2-1 in the bottom of the stanza when Azzopardi walked, went to second on a sacrifice bunt by Cameron Powers then came home on a wild pitch and balk. 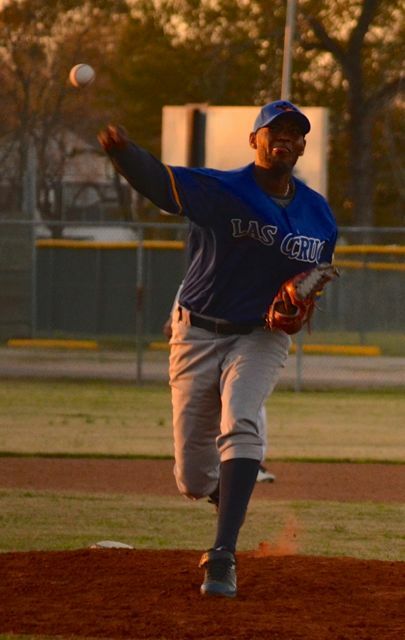 But Las Cruces (3-3) made it 4-1 in the third, scoring on a one-out single by Travis Fuquay, and, after a ground out, a home run to right by Effrain Garcia. The homer originally caused a bit of confusion, as it hit the net in right, stuck briefly then bounced down where it was caught by the Apollo right fielder. But eventually the umpire ruled it was a home run, giving the Vaqueros the three run lead, which stuck through the top of the fifth inning. But in the bottom of the stanza, with one out, Jordan Segura hit to third base, but the throw went wild, putting the pinch hitter on first. Wilson followed with an RBI double, then, after a ground out, Matt Leahy was hit and Azzorardi followed with a two RBI double, tying the game at 4-4. And that was it for both starters. Apollo reliever Suniga came up in the sixth and after walking the leadoff batter, struck out the next three batters, much to the displease of the Vaquero fas in the stands. Las Cruces reliever Bryan Smith set Houston down 1-2-3 in the bottom of the stanza, then Suniga followed with another walk, strike, strike, strike inning to bring the Apollos up in the bottom of the seventh. Smith then walked Wilson and Hunt, both advanced on a second Vaquero error and Azzopardi hit a towering shot to left center that probably would have been a triple had not one run been enough for the victory. Neither starter was involved in the decision, with Suniga getting the win and Smith the loss. Dill was very unhappy that his fielders haven�t been backing up the team�s strong pitching. Dunn said taking advantage of other team�s mistakes is what the Apollos do. The Apollos take on Garden of Gears Sunday at 7 p.m., while Las Cruces will fave the Sea Lions at 10 a.m. Dill said his players need to realize their future is in their hands. 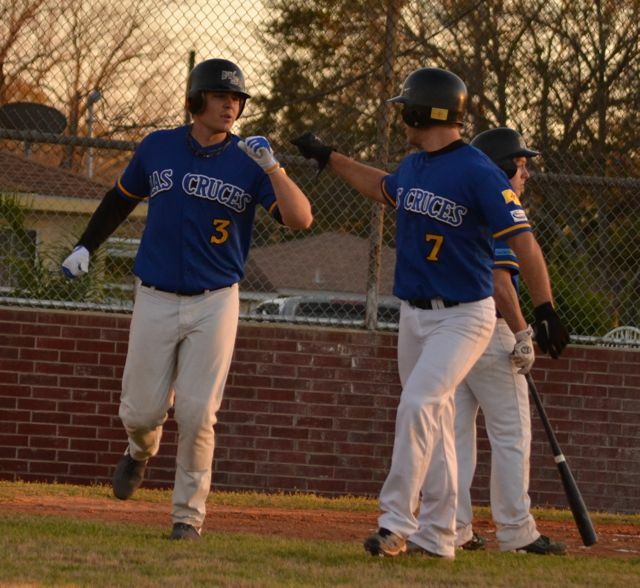 Austin Carden is congratulated by Adam Ziegler after homering in the 2nd. 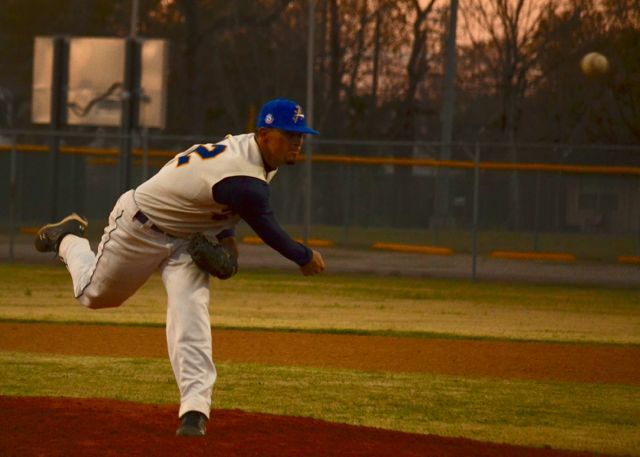 Brett Kinle pitched well, but didn't get a decision in his team's win. Edison Alvarez was again betrayed by poor fielding, getting no decision. Matt Hunt goes for the out at second. 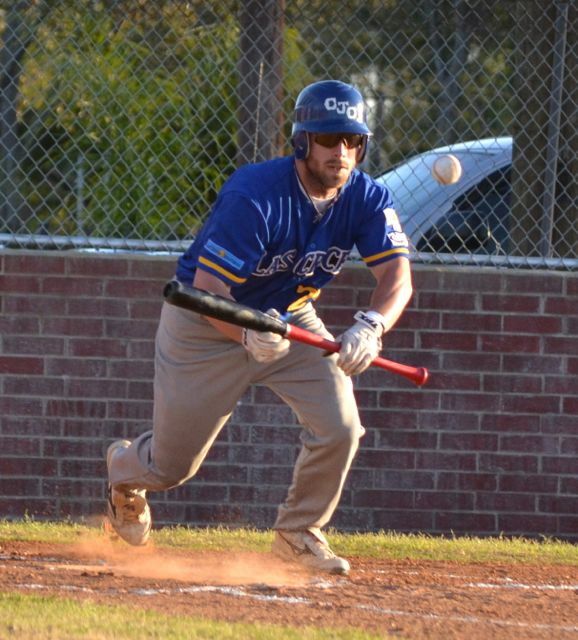 Travis Fuquay bunts for a hit.